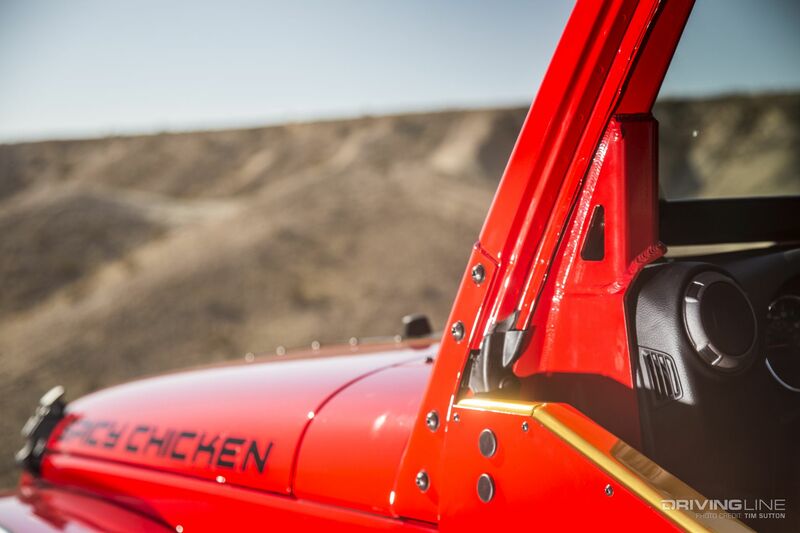 With his Southern California based shop Off Road Evolution, Mel Wade has made a name for himself building some of the most incredible Jeep Wrangler JKs on the planet. 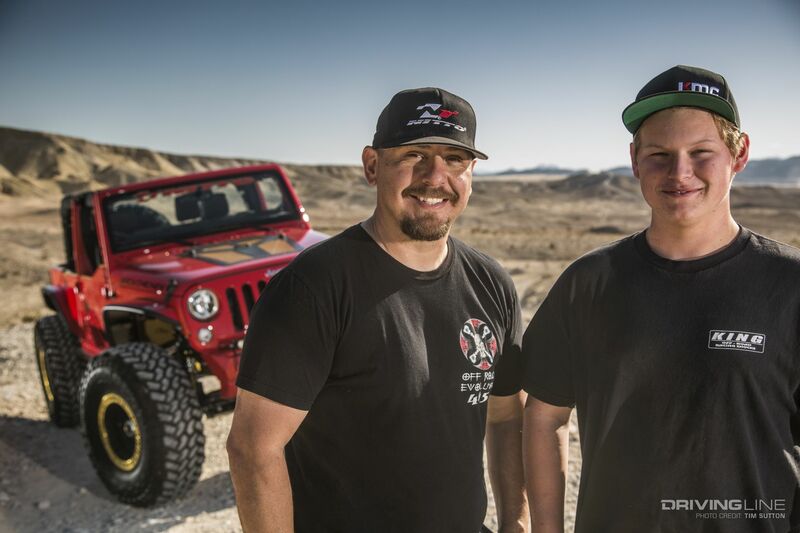 Using off-the-shelf parts from Wade’s EVO Manufacturing business, he is able to transform stock Jeeps into a formidable ‘wheeling machines that are still perfectly streetable. When Wade sold his wife’s latest Wrangler, he knew he’d have to replace the hardworking mother of two’s Jeep with another one quickly. What he didn’t plan on was how quickly the turnaround would be to transform her new ride into the show-worthy rig you see here today. Most builds of this caliber require a serious time commitment. Unfortunately, time wasn’t on Wade’s side as he only had one week’s time to build the 2017 Jeep Wrangler Unlimited Sport. Why the rush? An opening was available in the Nitto Tire booth at the 2016 SEMA Show. With over 160,000 people scheduled to attend, it would be the perfect venue for Wade to show off his latest EVO wares. 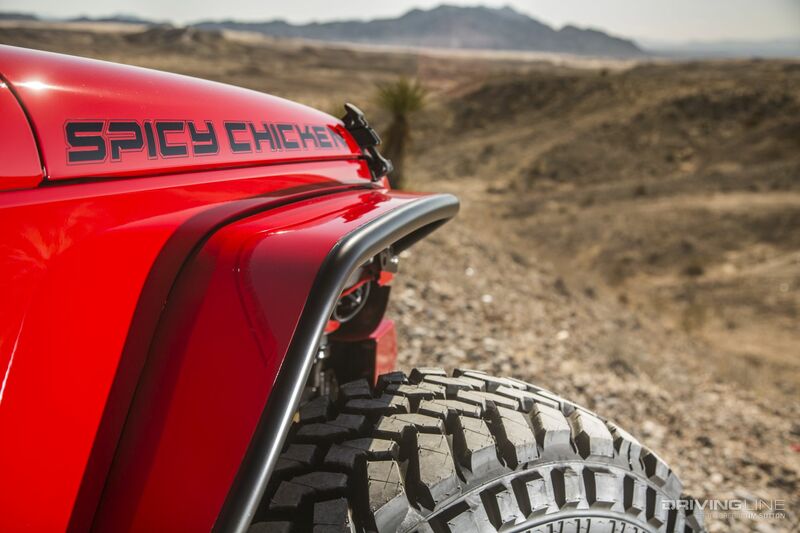 So with the help of friends and family, the JK dubbed "Spicy Chicken" was created. Wade is known for naming his Jeeps. Typically, each gets a unique "EVO" moniker, such as EVO1 or EVOlander. So, how did Spicy Chicken come about? From there, the funny clip sparked the name they eventually chose. Wade credits his son M4 for the name and said that one of his Facebook followers was nice enough to draw up the logo. 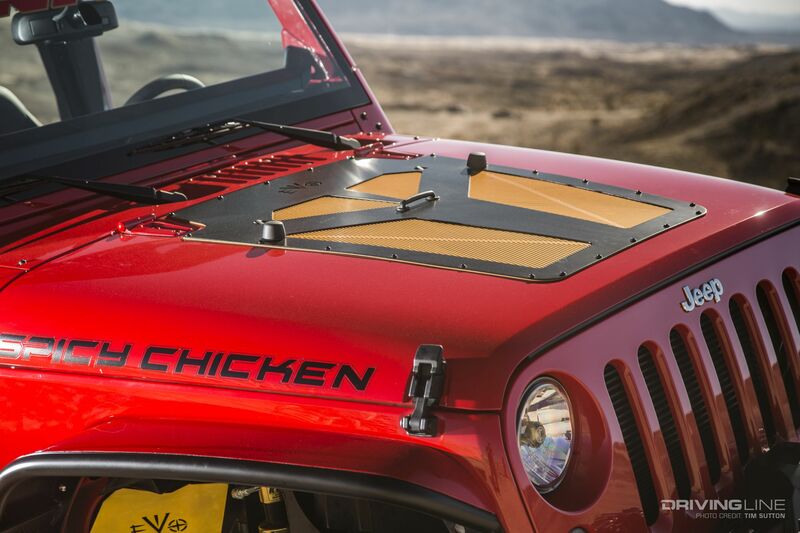 As fans of chicken, Jeeps and Ricky Bobby, we approve. One of the first upgrades would be to the suspension. 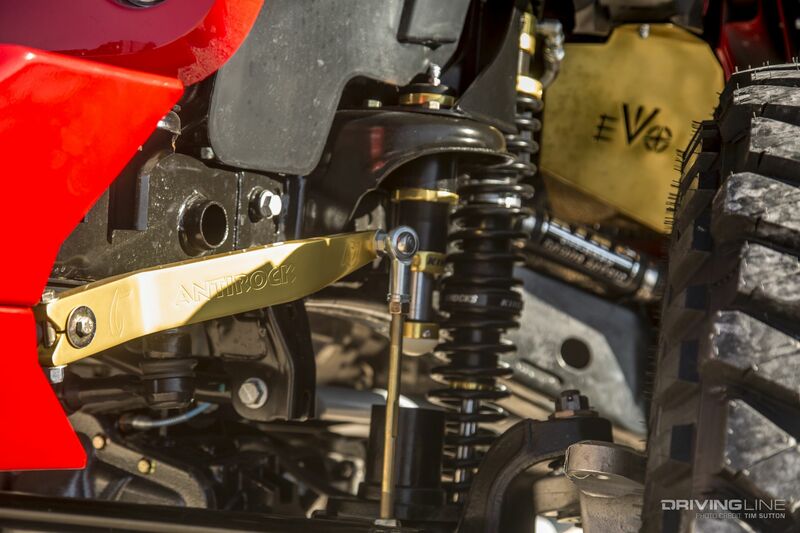 An EVO Manufacturing Double D long arm replaces the stock control arms and brackets. The EVO setup use 2-inch, 0.250-wall DOM lowers with Currie Johnny Joints. 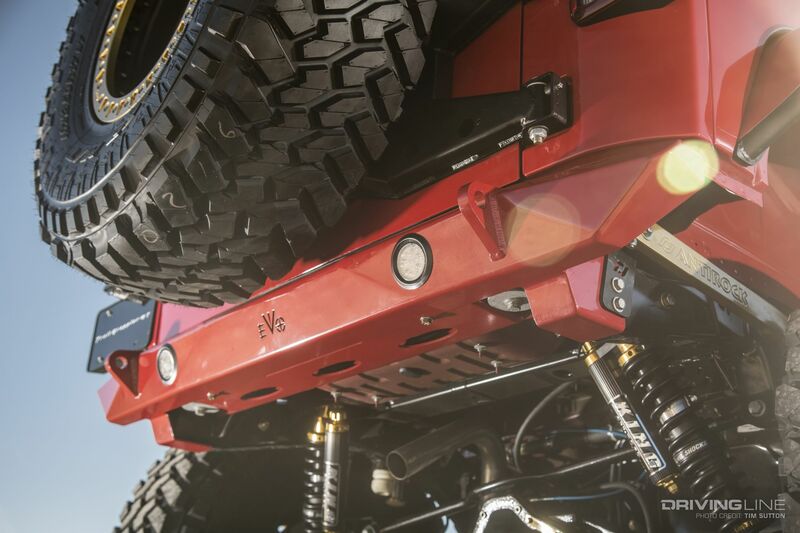 This long-travel suspension kit works as four-link that utilizes the stock track bars, which are both raised at the axle to increase the stability of the Jeep on-road and off. Up front, EVO-spec King coilovers and King bump stops work to control the 12 inches of vertical wheel travel. 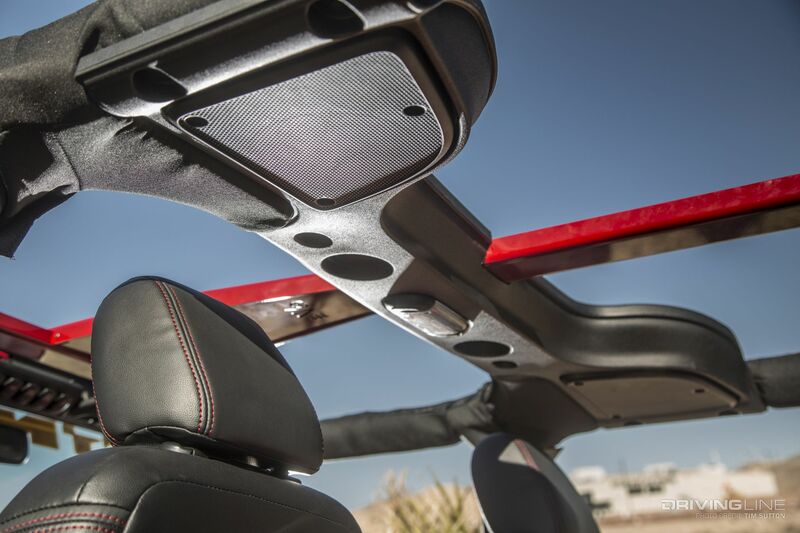 Allowing the Jeep to stay connected while moderating sway is a Currie Antirock sway bar. 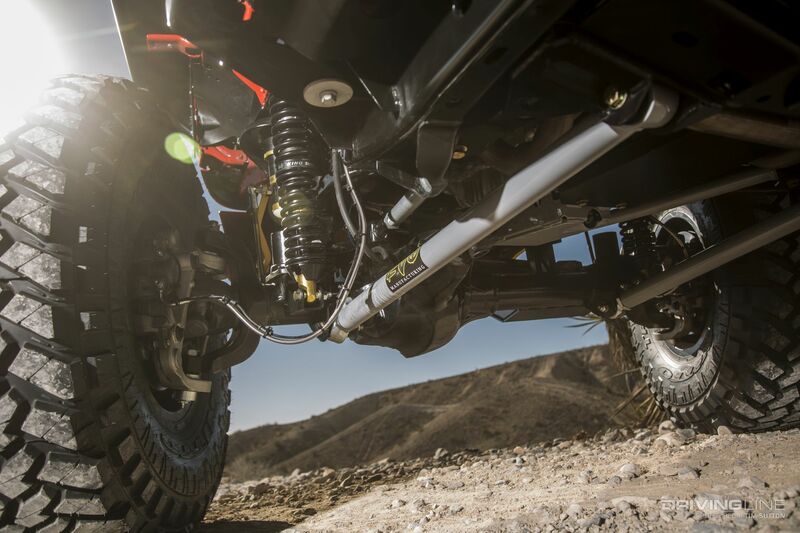 Despite the relatively low lift height, the EVO bolt-on coilover system still allows for a gracious amount of up travel, meaning this JK doesn’t have to go slow when the going gets rough. 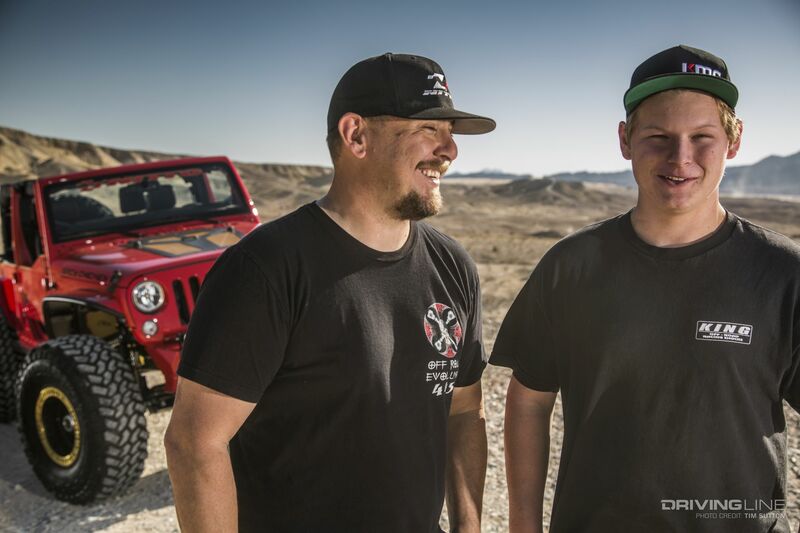 The stock Dana 30 front axle was no match for the 'wheeling and tire setup Wade likes to run, so it was replaced with the all-new Dynatrac ProRock XD 60. Geared with a set of 5.38 cogs, the high-pinion front axle uses an immense 10.1-inch ring gear, which is mated to an ARB Air Locker. To increase strength while shaving weight, the new XD 60 front uses high-strength aluminum steering knuckles. These are setup for a high-steer configuration and make room for the massive U.S. forged and double heat-treated 1550 axleshafts. 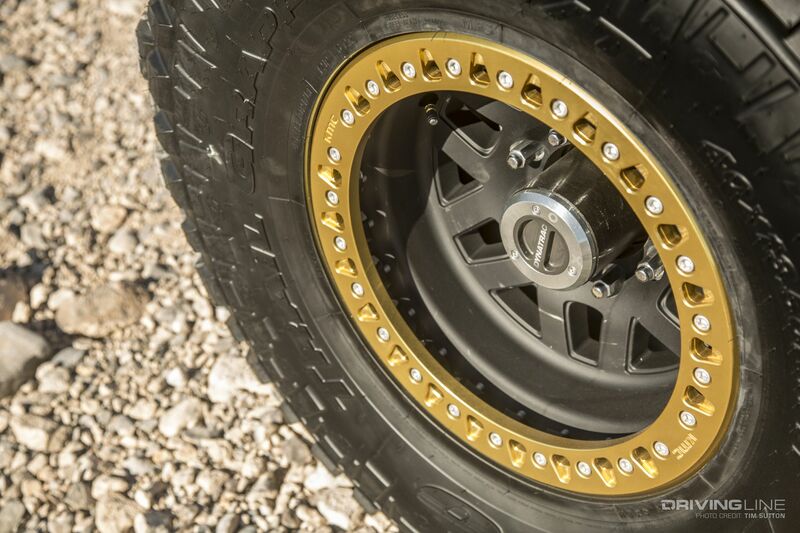 Putting the traction to the ground are a set of 40x13.50R17 Nitto Trail Grapplers, which are mounted on 17-inch KMC Machete Crawl beadlocks. 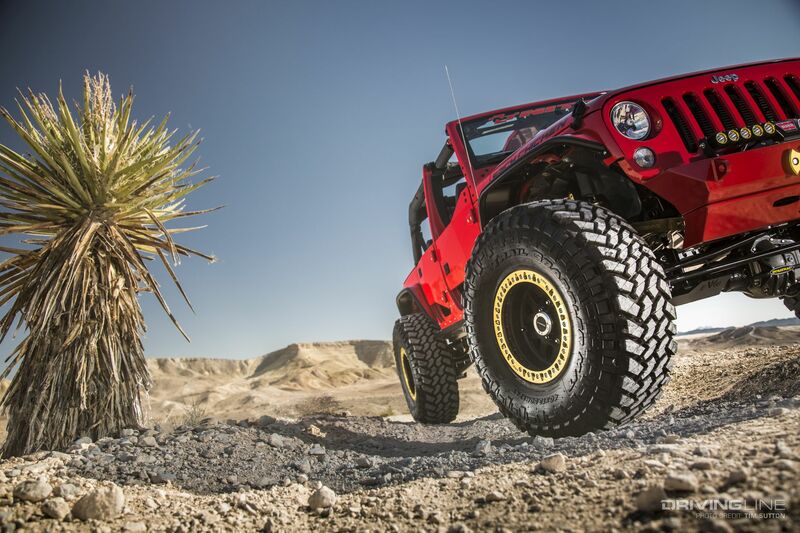 With success in Baja, JK Experiences and countless adventures, Wade has plenty of experience putting the Trail Grapplers to work. Pairing the durable radial mud-terrain with the heavy-duty KMC beadlocks means he can drop into single digit air pressure range on the trail without fear of losing a bead. Out back, you’ll find a Dynatrac ProRock 80 equipped with matching 5.38 gears and an ARB Air Locker. Splitting power from the NVG 241 transfer case are custom driveshafts from JE Reel. 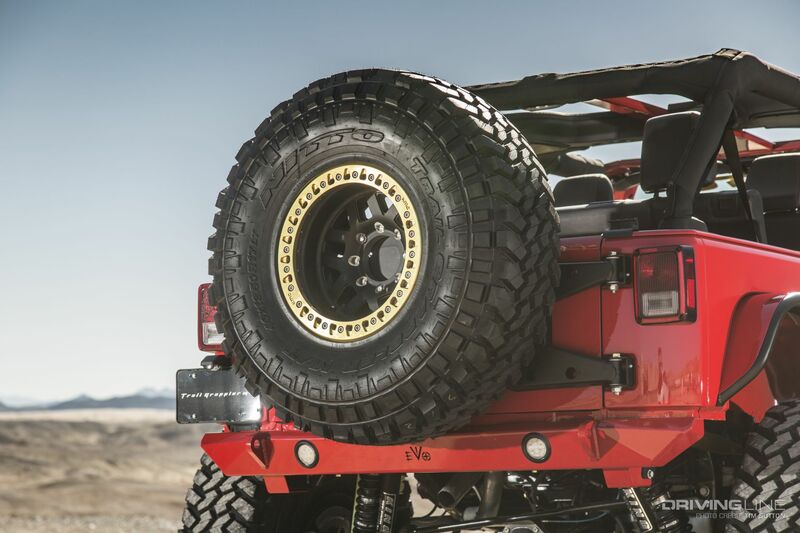 As is the case with the front, the rear of the JK is supported by EVO’s bolt-on coilover system and King air bumpstops. 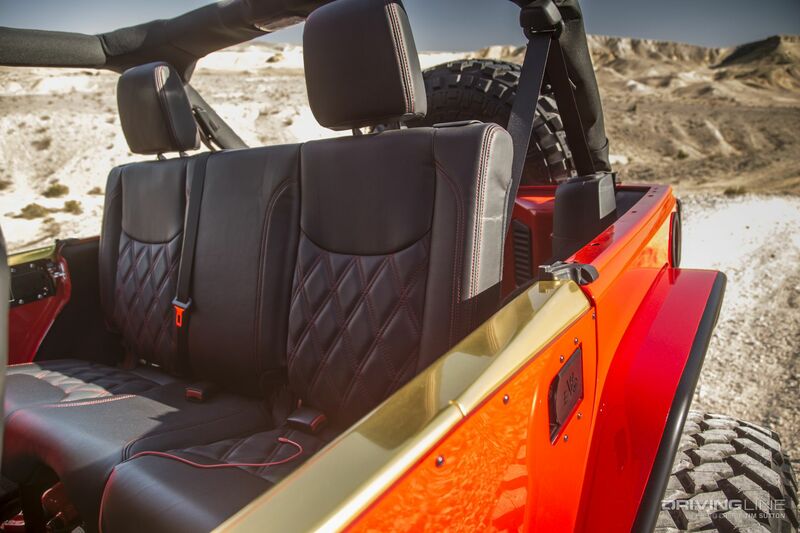 Inside, the JK remains largely stock. In fact, most people will have to do a double take to notice the EVO sport ‘cage hiding in plain sight. This ground-breaking ‘cage design uses 4130 chromoly plate instead of a more conventional steel-tube design. The big advantage? Visibility. This is ideal for the daily driven JK owner that doesn’t want to feel as though he has to look through a jungle gym on his way work. 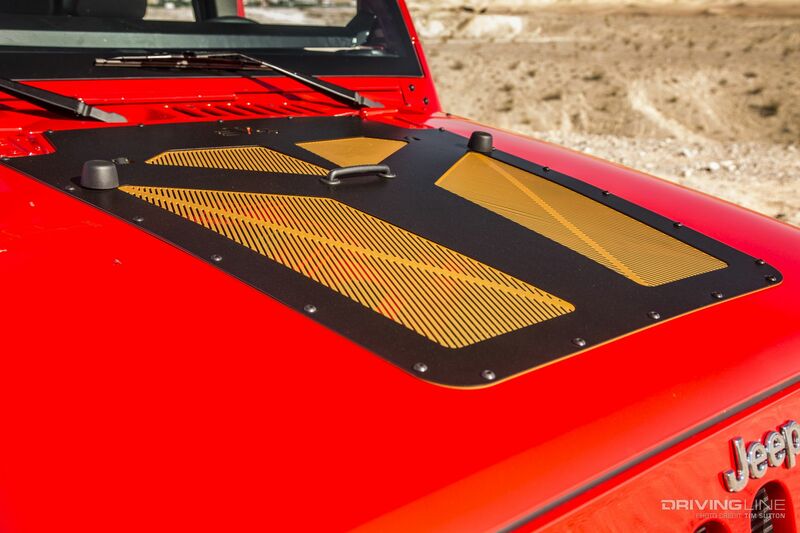 Since the 2017 JK is intended to serve as Wade’s wife’s daily driver, they wanted to up the interior comfort slightly. Custom stitched leather seats from Road Wire do a nice job of adding a bit of flare, while retaining the practical needed for hauling the kids to soccer practice and the bike park. Helping to expel the heat under the hood is the new EVO hood vent, while KC HiLites LED headlights and light bars add a warm glow to the path in front. 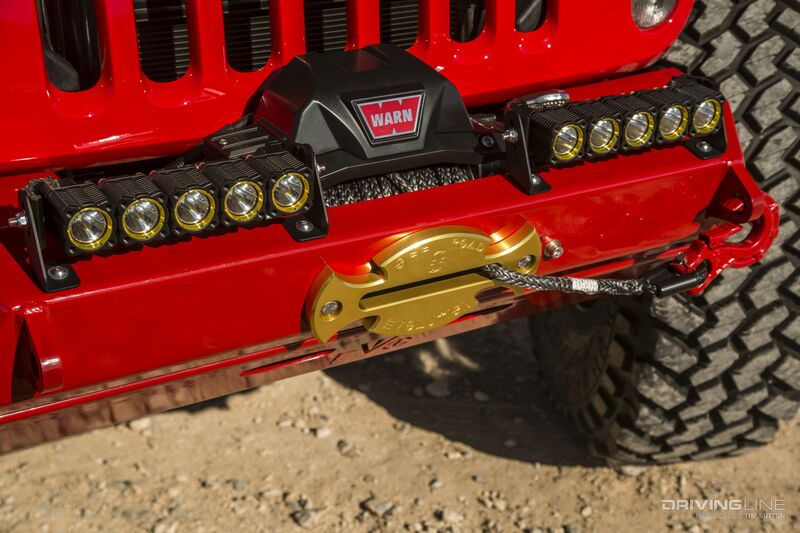 The front bumper is part of the EVO Pro Series line and secures a Warn Zeon 10-S winch. 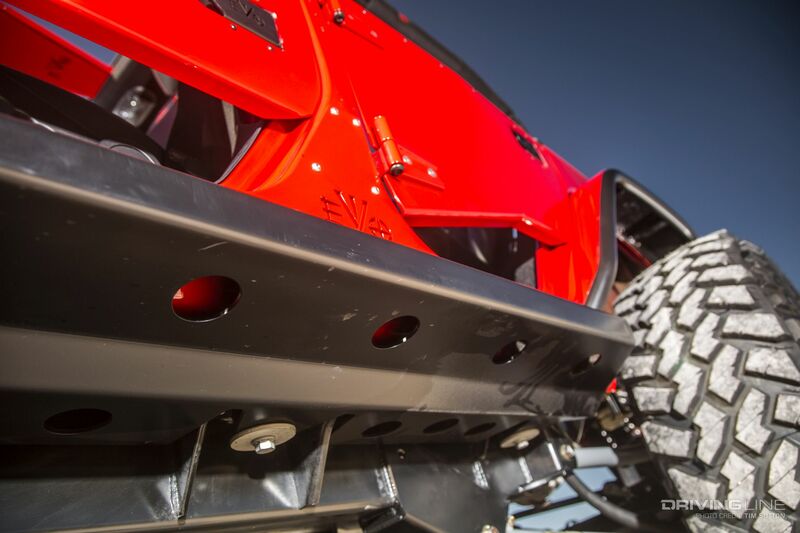 To make room for the 40-inch Trail Grapplers, EVO fender flares were installed. 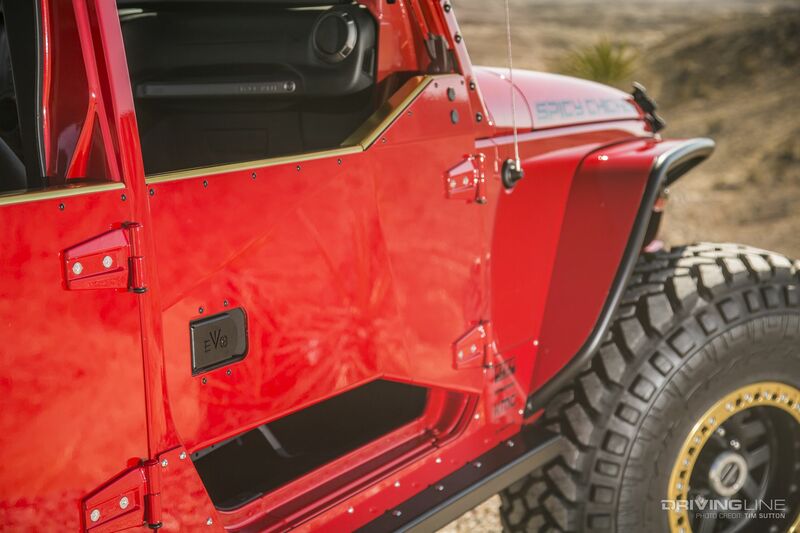 Adding more visibility off-road function to the Jeep are the EVO half doors. Everything was color-matched red by Morey’s Collision Repair out of Norco, California. Morey’s has been the go-to paint and body shop for the EVO fleet for years and has done amazing work on some of Wade’s vehicles that have experienced more than a little trail pin striping. For those following the EVO brand, you can rejoice in the fact that the company has finally released a killer high-clearance rear bumper. This works perfectly with the new EVO tire carrier. 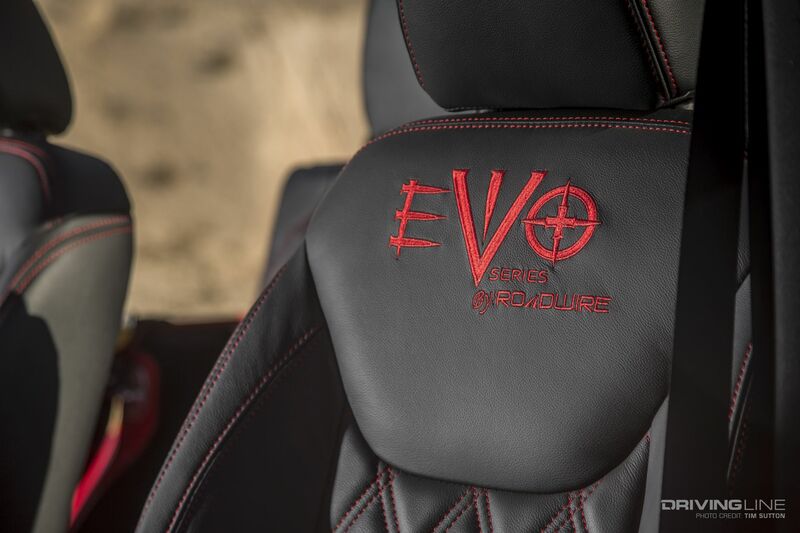 You can check out the full line of EVO parts at evomfg.com. 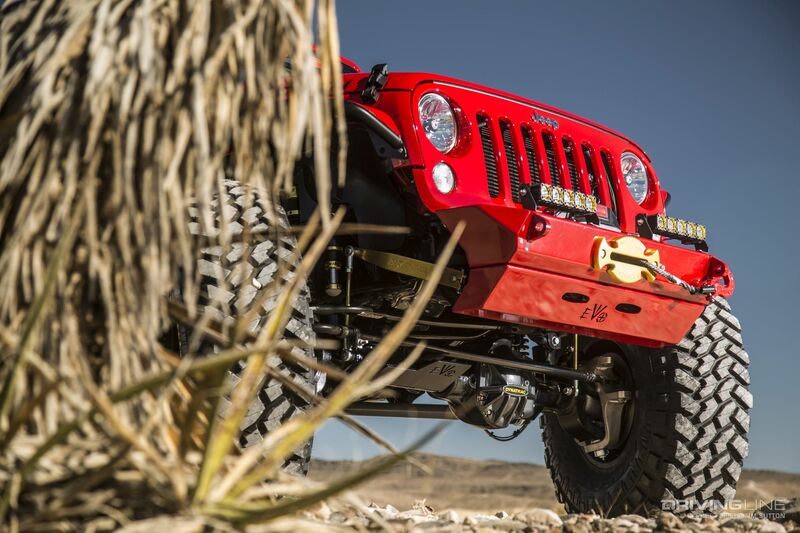 While we’re sure to see more of this Jeep in action soon, you can see more photos of it now in the gallery below.